A vintage black pencil skirt, which is delicately taken in at knees. The skirt has a back zipper and a short overlapping slit that make your legs look longer and more appealing. 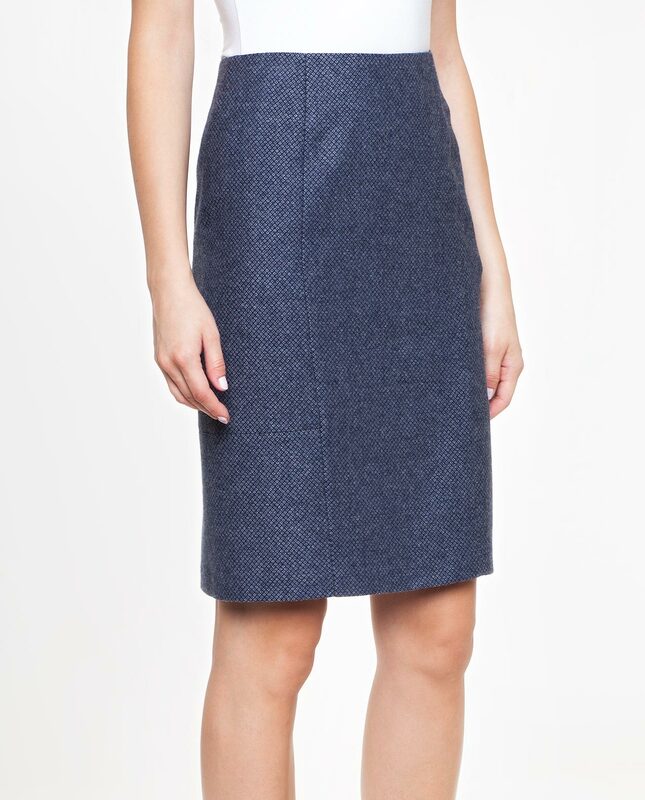 The skirt is manufactured from fabric that will keep you warm and feels very pleasant to the touch. There is a stretch inner lining. The design is very elegant and suitable for all occasions. Together with a jacket it will prove a perfect business outfit.